iPhone sales show no signs of slowing down, and this quarter barely included the 6s or 6s Plus. Apple just beat all expectations for its fourth quarter, which ended in September, coming in with $11.1 billion in profit on $51.5 billion in revenue. The iPhone continues to be the company’s moneymaker, with 48.05 million devices sold, up from 39.27 million in the same quarter a year ago. The company made $32.21 billion in revenue from iPhone sales alone. Analysts polled by Fortune were expecting Apple to sell 48.7 million iPhones in the quarter. Analysts also expected Apple to earn $1.88 per share, up from $1.42 a share in the same quarter last year. As for revenue, analysts wanted Apple to make $50.8 billion, while Apple itself expected to pull in $49 billion to $51 billion. The company handily beat all of those expectations. People are dying to know whether Apple’s latest iPhone models sold more than previous generations, but you’re going to have to wait a little longer. 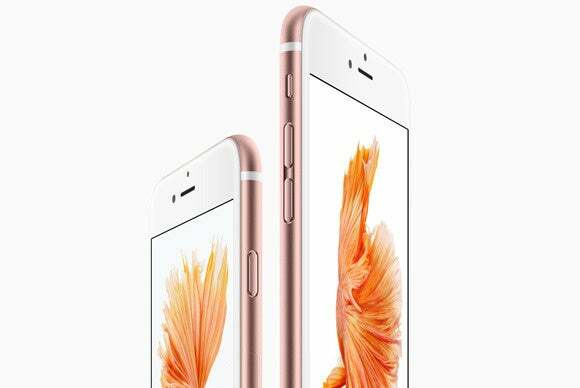 Just two days of sales of the iPhone 6s and 6s Plus were included in Apple’s fourth-quarter earnings report, so we won’t know just how popular the new phones are until January, after the holiday sales blitz. Apple already revealed that it sold 13 million iPhones over the launch weekend in September, but only two of those days were included in the earnings report. In Q1 of 2016, which Apple reports in January, the company is expecting revenue between $75.5 billion and $77.5 billion. That would certainly be a solid holiday quarter. In the meantime, Macs continue to sell, surprising those who expect the desktop computer to fall by the wayside as smartphones saturate the world. Apple sold 5.7 million Macs in Q4, up from 5.5 million in Q4 2014. A pain point for Apple remains the iPad, which continues to slide. In the fourth quarter, iPad sales declined 20 percent year-over-year and 10 percent from Q3 of this year. Apple sold 9.9 million iPads in Q4, down from 12.3 million in Q4 2014. But with the iPad Pro on the horizon, there may still be life in Apple’s tablet line. CEO Tim Cook typically addresses the iPad’s waning sales during the company’s earnings conference calls, so we expect to hear more about Apple’s expectations for iPad when the Q4 call kicks off at 5 p.m. Eastern/2 p.m. Pacific. You can stream the call here and stay tuned for more coverage of Apple’s killer Q4 on Macworld.